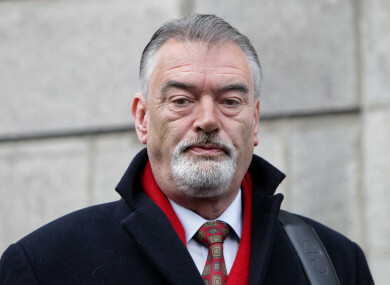 JOURNALIST IAN BAILEY has launched an appeal against a court decision in France to charge him in relation to the killing of French film producer Sophie Toscan du Plantier in West Cork in December 1996. His solicitor Frank Buttimer confirmed today that Bailey’s legal team in France has lodged appeal papers with the Courde Cassation, France’s supreme court. The court of appeal has already refused to strike out the homicide charge. Speaking to The Irish Times, French lawyer Dominique Tricaud said he would argue that Ireland was the “natural judge” of this case. He will also tell the court that the decision to charge Bailey showed little regard for the Irish justice system. Bailey was questioned by gardaí in relation to the murder, but was never charged here and the Irish courts have previously refused to extradite him to France to face charges. He denies any involvement in the killing. If a French trial is allowed to proceed, it is expected that it will be conducted in his absence. Meanwhile, the creators of the popular West Cork podcast about the Toscan du Plantier case have revealed that new episodes are to be released. They said new information was made available to them following the release of the 13-episode series. Speaking to Today FM’s Dermot and Dave, Sam Bungey and Jennifer Forde said since the podcast ended, they have had contact from retired detectives in America and also some locals in West Cork. They have not yet given a release date for the new episodes. Email “Ian Bailey appeals French decision to charge him over murder of Sophie Toscan du Plantier”. Feedback on “Ian Bailey appeals French decision to charge him over murder of Sophie Toscan du Plantier”.